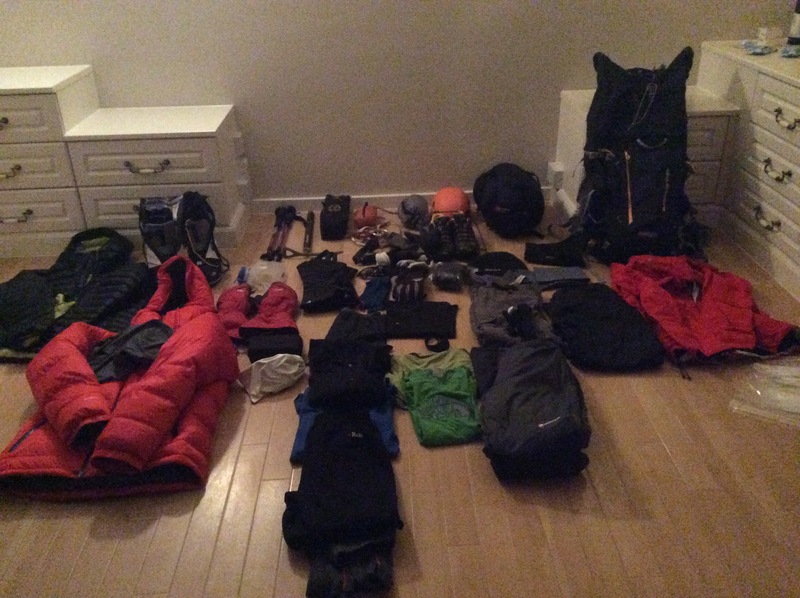 It’s beginning to look a lot like…….Aconcagua Time! It’s well overdue that I posted here, so am doing so to update on preparations for Aconcagua, which are happening at a pace that I almost cannot even keep up with. Aconcagua in all her glory. My trip is a matter of days away now, and I can honestly tell you that I just don’t know if I am ready or not. There are several reasons for this. One is a bit of a state of anxiety over potential altitude sickness. Having been to around (or close to) 6,000m on three occasions now (Kilimanjaro, Island Peak/Everest Base Camp, and Elbrus), I have had let’s say mixed results with AMS. On Kili I had mild symptoms at around 4,000m. In Nepal I was feeling a bit groggy from 4,000m onwards. In Russia I was fine until the descent, when I began to show symptoms of HACE. The latter was the scariest experience of my life. 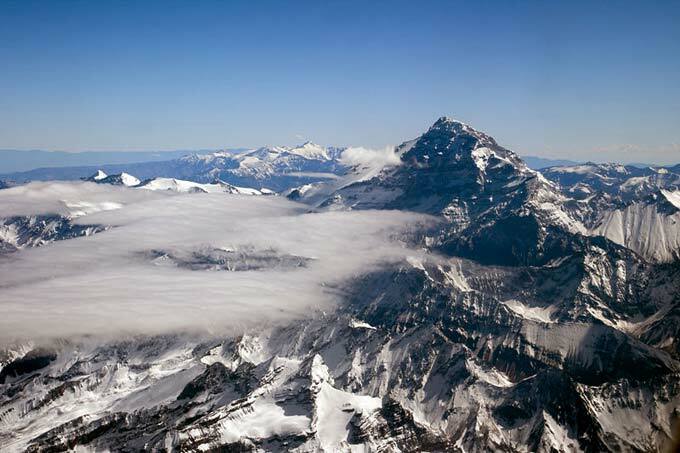 Secondly, Aconcagua is a different kettle of fish from the mountains I have done so far. At close to 7,000m and 23,000 feet, it is a quantum leap above the others in many ways. The altitude itself will be hard enough, but add to this the fact that I have to carry more weight than ever before (upwards of 20kg) then this will be an incredible effort. I find 20kg in a suitcase is hard to pick up, let alone carry on my back at altitude. Having read also so many guide companies’ websites and various blogs on the subject, I haven’t heard anyone say anything other than “if you think because you’ve been up Kili you can climb Aconcagua, then think again”, or words to that effect. Final camp in fact is above 20,000 feet, so I have the words “good luck trying to sleep there before summit night” ringing in my ears too. Finally my training hasn’t probably been all it could be. There is some good, and some not so good here. On the one (good) hand, I’ve been out walking every single weekend since Russia, so that’s nearly four months of doing between 10 and 20 miles each time of usually pretty undulating terrain. And I was as fit as I’ve ever been then, so I don’t think I’ve lost anything. I’ve even been and done the Brecon Beacons twice in that time too. On the other (not so good) hand I’ve really done precious little else. There has been the odd 30/40 mile bike ride, but that’s it. No gym, no squats, no planking, no nothing. I generally believe that there is no experience for anything like doing that particular activity, so we will see. The only thing I think I am definitely prepared for is with my kit. With one week to go, it is bought, and laid out ready to pack. My kit list, for anyone who is interested, is per the below (so Katherine Thomson if you are reading this, this one is for you, albeit three months late!). [ ] sleeping bag (down, it’s lighter and more compressible) Should be rated to approx. 0 to minus 10°F. [ ] regular gaiters, add insulated Supergaiters for extra warmth and/or the Intuition foam liners, which fit most double boots, if you’re looking for a more warmth. [ ] hiking shorts and/or pants. Again, nylon is a great choice. Convertible hiking pants work well. [ ] soft shell, fleece, etc. [ ] neck gaiter or balaclava. Buff’s are great. [ ] a bottle of Purell hand disinfectant. Make sure you bring this. [ ] 5 very large plastic garbage bags such as the Hefty Steel Sacks. I did get a bit confused with some of the Americanisms on here though (it is a US company that I am going with). ‘Moleskin’ got me very confused, as did ‘ciprofloxacin’, and ‘climbing hard hat’ just made me smile. I’m there in the end however, and Google was my friend as always. Most of my stuff laid out ready to pack.. I have had a dry run of getting everything into the rucksack, and it fits, just, at a pinch. How I am going to squeeze extra kit in here as well though is beyond me, so I’m basically in the same clothes for 23 days as far as I can see it. Yes 23 days, and I will be taking deodorant and wet wipes too before you ask, but that’ll be about it. So the only thing that will tell whether I am ready or not from hereon in is time. By Christmas Day I hope to be approaching Base Camp, and by New Year’s Day close to High Camp. If all goes to plan, I am very lucky with the weather, I don’t get AMS, and I am fit enough, then on the 4th January or thereabouts I may have a chance of summiting the highest mountain in the southern hemisphere. Between now and the trek out, I fly via Brazil and Chile to Mendoza in Argentina, for my biggest and boldest expedition of my life by a long way. Merry Christmas and a Happy New Year to all, and see you (I hope, gulp!) on the other side…….